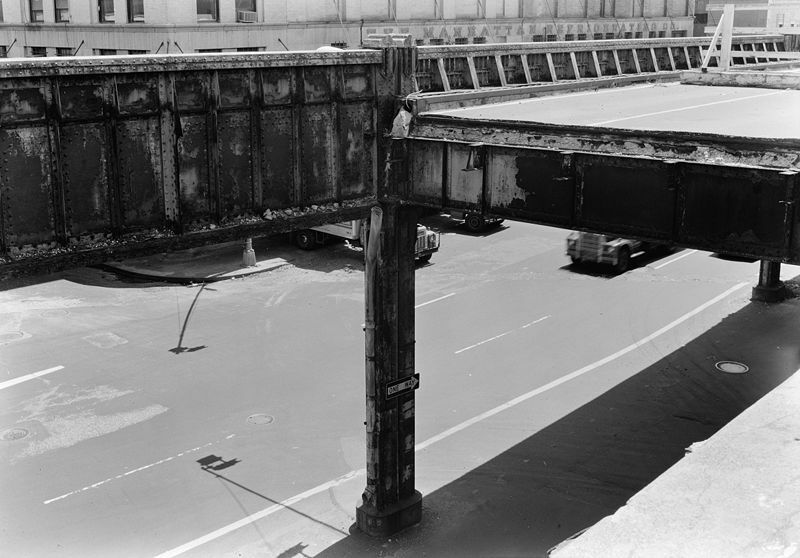 Many years ago, when I came to the US, I was shocked to the core seeing the collapsed West Side Highway in New York City. I simply could not believe that a highway would be neglected to that extent amidst all the affluence of the city. The contrast was too much for me. Nowadays I often have a deja vu sensation in various technical debt engagements in which I find the code crumbling. This sensation is not so much about what happened (see The Real Cost of a One Trillion Dollars in IT Debt: Part II – The Performance Paradox for an explanation of the economics of the neglect of software maintenance during the past decade), but about the company for which I do the assessment giving up on immense forthcoming opportunities. 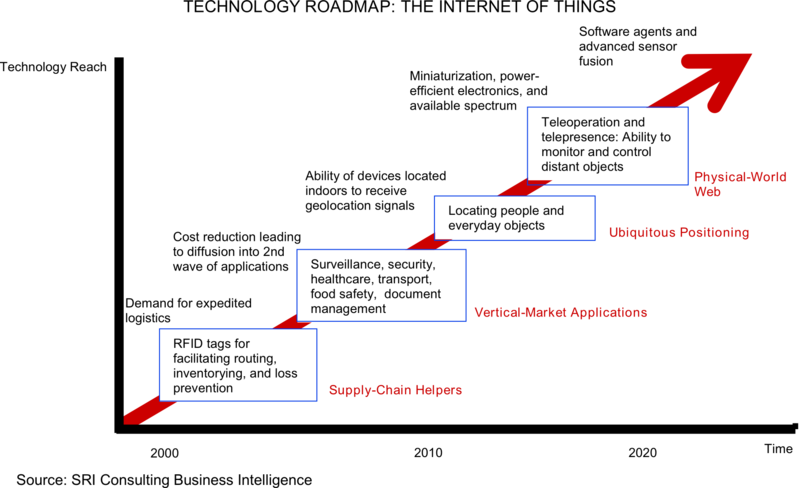 Whether you do or do not fully subscribe to the vision of the Internet-of-Things depicted in the figure below, it is fairly safe to assume that your business in the years to come will be much more connected to the outside world than it is now. The enhanced connectivity might come through mobile applications, through social networks or through the cloud. 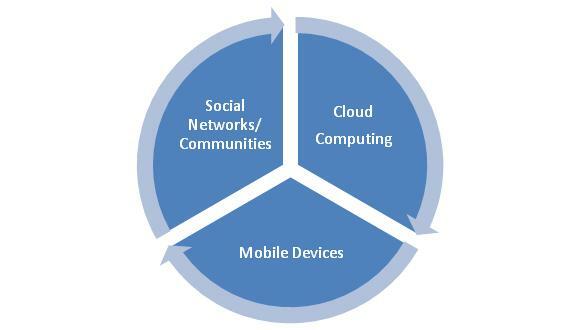 As a matter of fact, it is quite likely to come through a confluence of the three: Cloud, Mobile and Social. Through mobile and social your legacy software will enable you to flexibly produce, market and distribute small quantities of whatever your products might need to be in niche markets. Through cloud it will enable you to offer these very same products and many others as services. Conversely, if you consistently neglect to pay back your technical debt, your legacy code is likely to collapse due to the effects of software decay. You certainly will not be able to get it to interoperate with mobile and social networking applications, let alone offer it in the form of cloud services. Nor would you be able to wrap additional services around decaying legacy code. Take a look at the warehousing and distribution services offered by Amazon to get a sense of what this kind of additional services could do for your core business: they will enable you to transform your current business design by adding an Online-to-Offline (O2O) component to it. What is the fine line differentiating “acceptably maintained” code from toxic code? I don’t think I have conducted a large enough sample of technical debt assessments to provide a statistically significant answer. My hunch is that the magic ceiling for software development in the US is somewhere around $10 per line of code in technical debt. As long as you are under this ceiling you could still pay back your technical debt (or a significant portion of it) in an economically viable manner. Beyond $10 per line of code the decay might prove too high to fix. Why $10 and not $1 or $100 per line of code? It is a matter of balancing investment versus debt. An average programmer (in the US) with a $100,000 salary would probably be able to produce about 10K lines of Java code per year. The cost of a line of code under these simplistic assumptions is $10. Something is terribly wrong if the technical debt exceeds the cost per line. They call it living on margin. Action item: CIOs should conduct a technical debt assessment on a representative sample of their legacy code. A board level discussion on the strategic implications for the company is called for if technical debt per line of code exceeds $10. The board discussion should focus on the ability of the company (or lack thereof) to participate in the business tsunami that cloud, mobile and social are likely to unleash. Considering modernization of your legacy code? Let me know if you would like assistance in monetizing your technical debt, devising plans to reduce it and governing the debt reduction process. Click Services for details. The devastation in traditional Publishing needs precious little mentioning. Just think about a brand like BusinessWeek selling for a meager cash offer in the $2 million to $5 million range, McGraw Hill getting into interactive text books through Inkling or Flipboard delivering “… your personalized social magazine” to your iPad. This devastation might not have gotten the attention that the plight of the ‘big three’ automobile manufacturers got, but in its own way it is as shocking as a visit to the abandoned properties in Detroit is. It obviously affects the IT folks with whom I discuss the subject. Immense changes are already taking place in many IT departments. It affects their company. For example, the company might need to change the business design in order to optimize its supply chain. Sometimes I get a push-back from my clients on this topic. The push-back is usually rooted in the immense complexity (and fragility) of the enterprise software systems that had been built over the past ten, twenty or thirty years. The folks who push back on me point out that consumerization of IT will not scale big time until enterprise software gets “consumerized” or at least modernized. If you are in enterprise software you need to start modernizing your applications today. The reason is the imperative need to mitigate risk prior to reaching the end-point, almost irrespective of how far down the road the end-point might be. See Llewellyn Falco‘s excellent video clip Rewriting Vs Refactoring for a crisp articulation of the risk involved in rewriting and why starting to refactor now is the best way to mitigate the risk. The phrase “Everything as a Service” has been coined by Russ Daniels. Agile champions spend a lot of time trying to communicate the agile premise to the executives in their organization. The difference in context between the champion and the executive often makes it a difficult conversation. A Scrum Master versed in behavior-driven design is not always able to relate to the frustrations of a sales executive who gets free advice on how to sell from everyone and his grandmother. Conversely, a CFO does not necessarily understand why unit test coverage on the company’s legacy code is still inadequate after a full year of investment in agile methods that embrace refactoring as a core practice. To bridge the chasm through this article, we resort to role-playing. Ryan Martens plays the Agile Champion; Israel Gat plays the Skeptical Executive. Metaphorically speaking, each one tries to wrestle the other to the ground.